Grab your family and friends for a fun run/walk to benefit homeless and at risk families in our community. The event starts at 6 p.m. at TerraLoco on Monday, April 15. 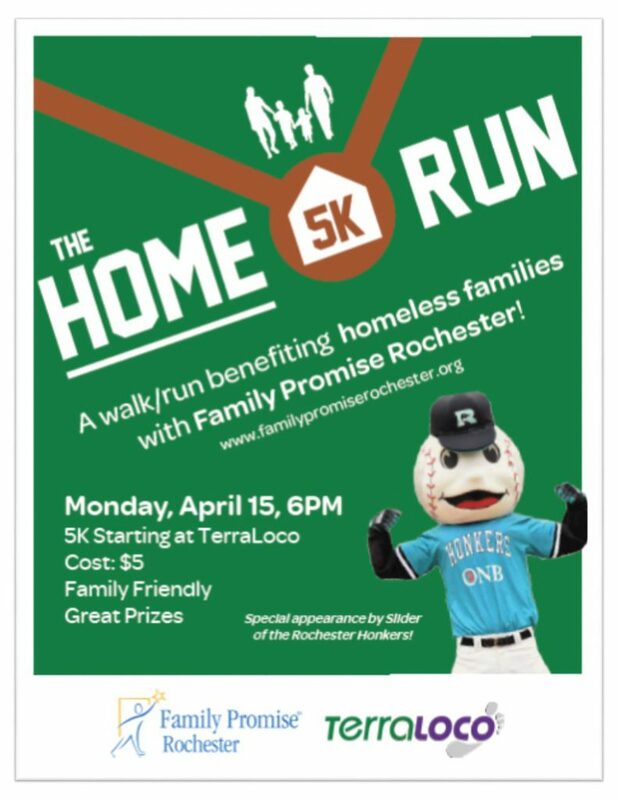 In keeping with our Home 5K Run theme, Slider from the Honkers baseball team will be swinging by to cheer you on!